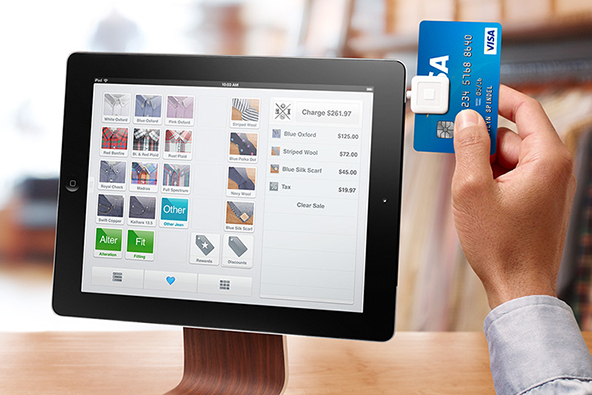 What Is Holding Mobile Payment Adoption Back? That is the question tackled by Fumiko Hayashi, an economist at the Federal Reserve Bank of Kansas City, in a recent paper. The author acknowledges the barriers to adoption that exist on the supply side, such as the lack of unified technological standards and compelling business models, but focuses her attention on the demand side of the equation where she finds plenty of obstacles as well. 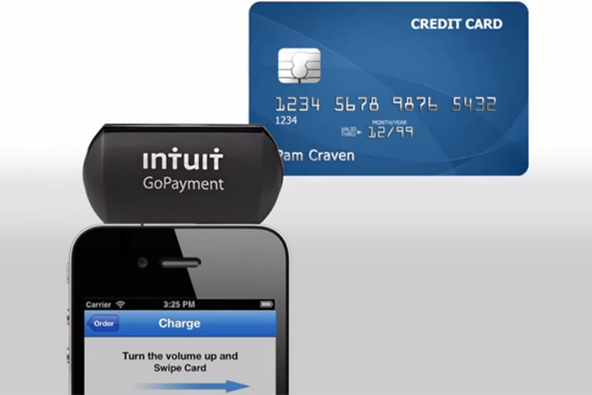 Now, Hayashi, as most other experts, agrees that eventually mobile payments will take off. Her paper is concerned with identifying the m-payment characteristics that are most likely to encourage or discourage U.S. consumers from adopting mobile payments at brick-and-mortar stores and singles out two such attributes. Let’s take a look at Hayashi’s findings. Why Are Americans Slow to Adopt Mobile Payments? 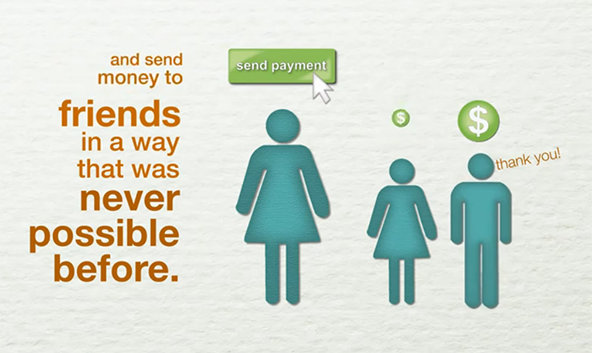 The main demand-side barrier has been the uncertain value of mobile payments to U.S. consumers. In some other countries, there have been obvious advantages to consumers of using mobile payments. Mobile payments were adopted rapidly in Japan as a convenient way of paying for mass transit. In some African countries, mobile payments gained traction because consumers lacked access to other noncash forms of payment such as checks or credit cards. Neither factor is as important in this country, raising the question of how U.S. consumers would benefit from mobile payments. We’ve written about both of these issues on this blog. 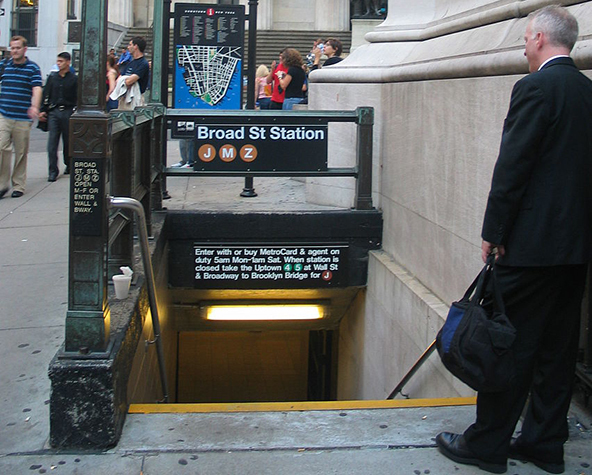 You may remember that back in 2010 New York’s Metropolitan Transportation Authority (MTA) conducted a six-month contactless payment trial, which enabled commuters to pay their fares by waving their phones or credit cards by specially equipped turnstiles. Then it took more than a year for the MTA to conclude that the test has been successful and a full roll-out is not expected before 2015. That’s way too slow. On the other hand, the African experience, as the author notes, has no relevance to the U.S. Just as the fast adoption of mobile payments in Africa was in no small part due to the lack of landline telephone infrastructure, mobile payments benefited from the absence of traditional banking services in large parts of the continent. There was plenty of pent-up consumer demand and mobile was the only game in town. 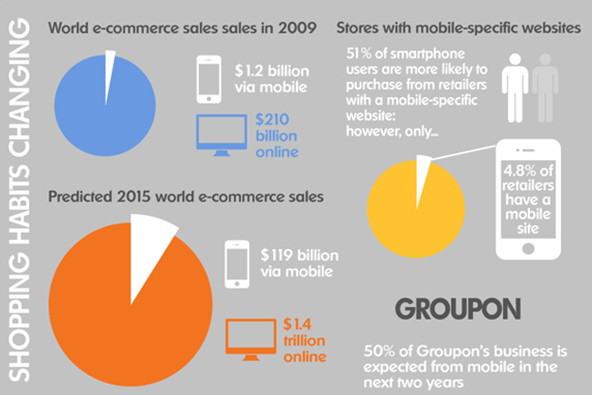 That is certainly not the case in the U.S.
What Would Speed up Mobile Payment Adoption? [T]he payment attributes most likely to encourage use of mobile payments are convenience and ability to monitor finances and control spending. The convenience advantage of mobile payments derives from the ability to link a mobile phone to a wide variety of cards and other payment instruments. The greater control over finances and spending comes from the ability to check account balances prior to making purchases and receive alerts when spending reaches designated thresholds. 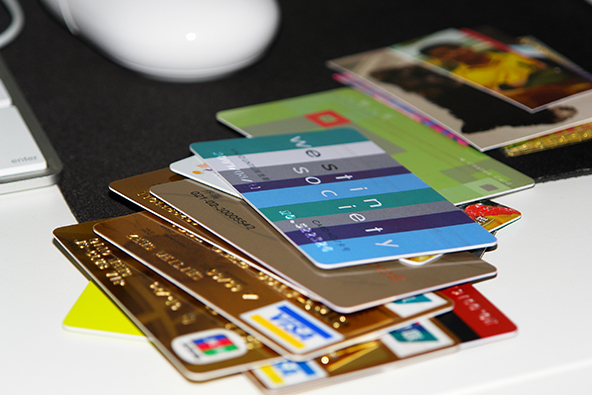 [I]n the near term, the attribute most likely to discourage consumer adoption is merchant acceptance. If NFC becomes the dominant mobile technology, as some predict, merchant acceptance may remain low for some time because NFC-enabled terminals are costly. The limited empirical evidence on the subject suggests that a low rate of merchant acceptance would cause consumers to delay adopting mobile payments. 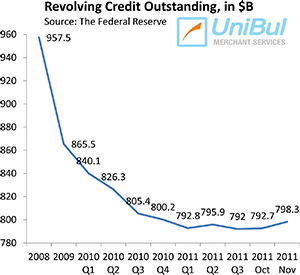 Over the longer term, however, the current low rate of merchant acceptance may be less of a problem. The reason is that Visa and MasterCard are actively promoting chip-based payment cards, and the merchant terminals needed to accept these cards will also be able to accept NFC mobile payments. Hayashi finds that the effect on m-payment adoption of other attributes, such as cost of service and of equipment and vulnerability to fraud, is “highly uncertain.” An interesting special case is the ability of users to receive targeted ads and promotions on their mobile phones, which they like, but are at the same time concerned over privacy issues. On balance, the findings of this article suggest cautious optimism about the willingness of consumers to adopt mobile payments. 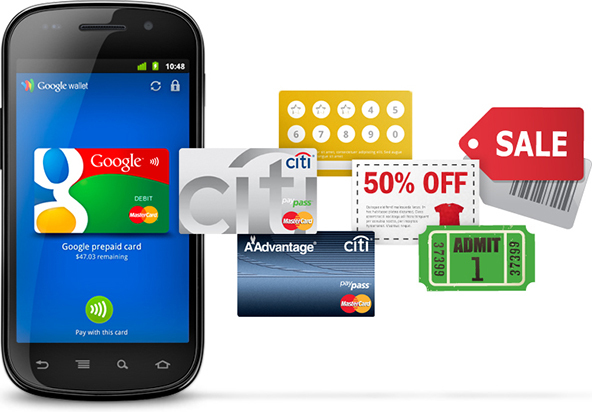 Consumers clearly benefit from mobile payments in convenience and the ability to monitor finances and control spending. For the other attributes, mobile payments compare less favorably to traditional payments in the view of consumers. 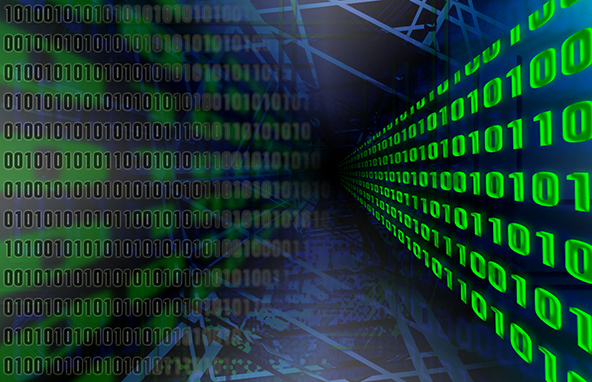 However, through steps such as migration to chip-based cards, improvement in mobile phone security, and opt-in requirements for targeted ads, these other attributes may eventually appeal to consumers. Well, U.S. processors are required to support acceptance of chip-based transactions by April 1 of next year, so the first of these steps has already been taken. There is every reason to expect that security will also improve. 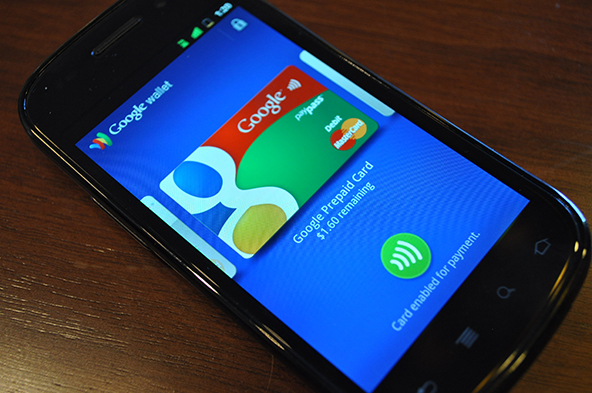 There has been only one major mobile payments-related security breach so far — the crack of Google Wallet’s PIN — which was quickly fixed and Google is undoubtedly working on further improving its digital wallet’s security. And regarding the opt-in requirement for targeted ads, I think it’s inevitable that service providers will give consumers what they want, either voluntarily or through regulatory intervention. 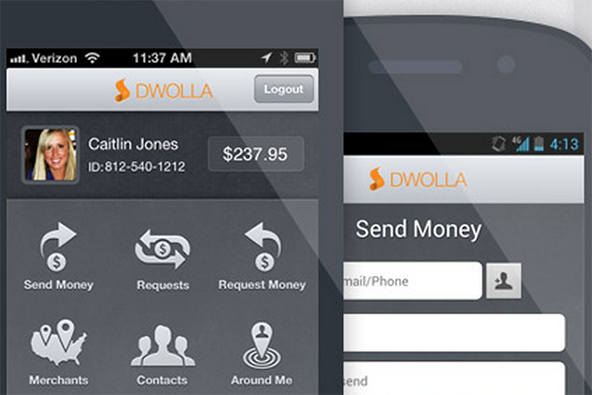 So mobile payments are getting closer to becoming reality, but there is still some work to be done.